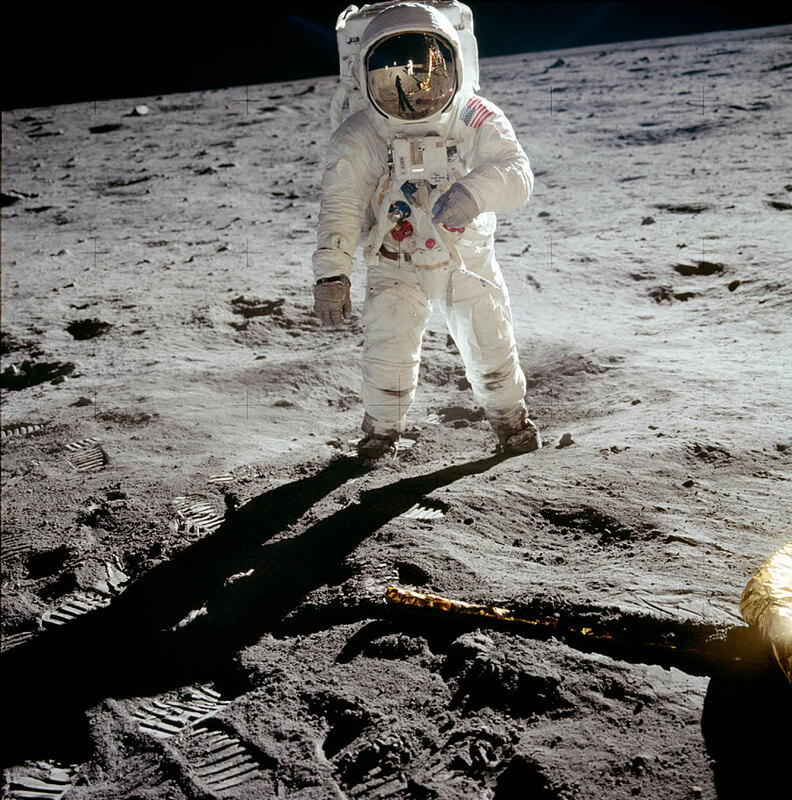 Everyone knows that Apollo 11 commander Neil A. Armstrong was the first human to set foot on the Moon (and if you didn’t know, that occurred on July 20, 1969 – yes, it really happened). It was a momentous, history-making event that many (like myself) consider one of the most impressive achievements of humankind. But oddly enough, even with high-resolution Hasselblad film cameras there on location, there are very few photos showing Armstrong himself on the surface of the Moon. 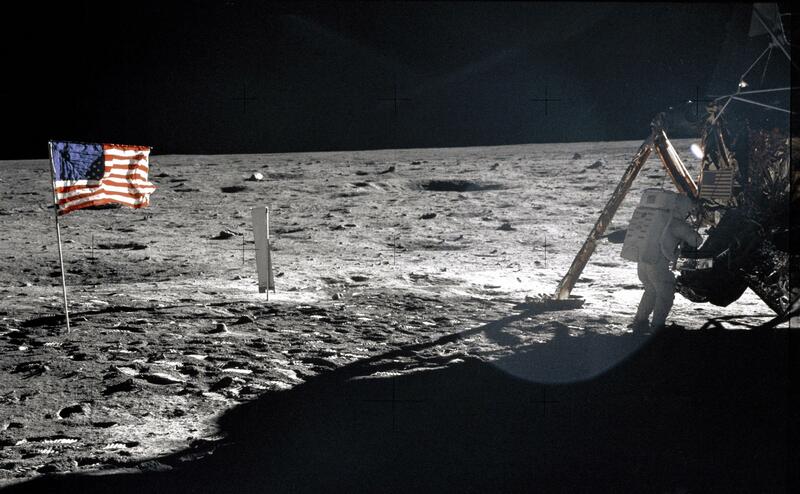 In fact the one above, an otherwise very nice panorama captured by fellow Apollo 11 astronaut Buzz Aldrin, really is the best image in existence of Armstrong on the Moon. Because their amount of time on the lunar surface was limited – and it’s NASA – every moment of the two astronauts’ two-and-a-half-hour EVA was meticulously plotted out. It simply wasn’t Buzz’s job to take portraits. If you want to see lots more photos from the Apollo 11 and other Apollo missions, I suggest checking out the Project Apollo Image Archive here (and now here on Flickr.) Happy Moon Day, and don’t forget to give a wink for Neil! Note: this article was originally posted on LITD on July 20, 2015. Previous Post Did NASA Purposely Cut Space Station Footage of a UFO?